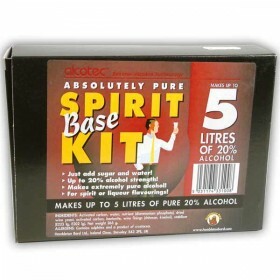 Home moonshine making has taken another step forward. 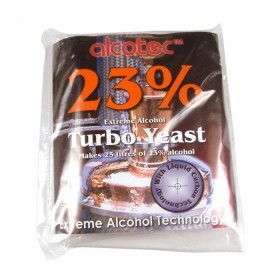 With the new Alcotec 23% turbo pure, it is now.. 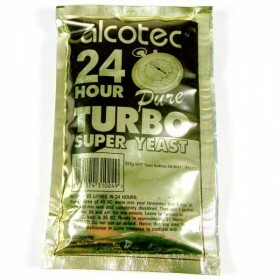 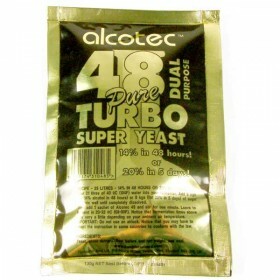 This Alcotec Super Turbo Yeast is able to produce either 14% abv in 48 hours or 20% in 5 days using .. 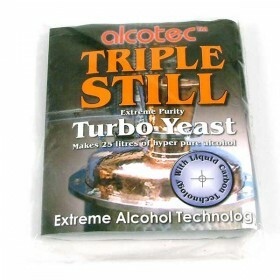 The absolutely pure spirit base kit from Alcotec makes up to 5 litres of alcohol at 20%.Just add sug..
Fermenting your wash for home distillation of moonshine has taken yet another step forward. 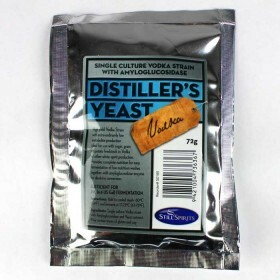 It is no.. 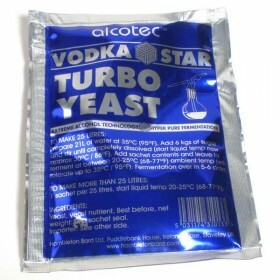 Ideal for pot stills (but works well with a reflux still too), with their lower capability of reduci..
A breakthrough in turbo technology delivers triple distilled vodka quality alcohol allowing commerci.. 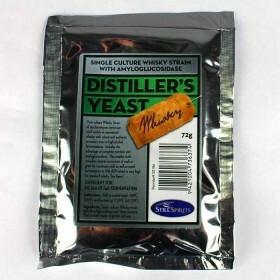 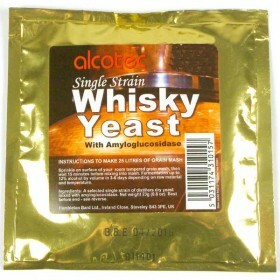 This is a single strain whiskey yeast that is capable of fermenting up to 12% alocohol abv in just 3.. 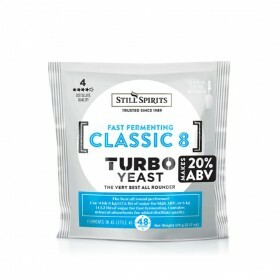 Still Spirits Classic 8 Urea Turbo Yeast..
Our Rum Distillery Yeast is an Osmophilic Saccharomyces Cerevisiae strain especially suited to 50:50..
Our Vodka Distillery Yeast is a high yield Vodka Strain with extraordinarily low metabolite producti..
Our Whiskey Distillery Yeast is a pure culture Whiskey Strain of Saccharomyces Cerevisiae used widel.. 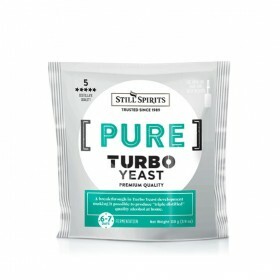 Still Spirits Fast Turbo Yeast (250g) .. 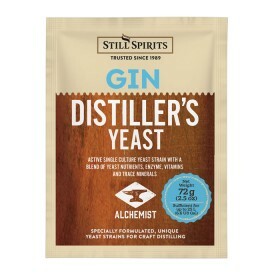 Still Spirits Gin Distiller's Yeast An active single culture yeast strain with a blend of yeast n.. 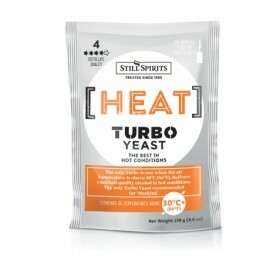 The best in hot conditionsThe only Turbo yeast to use when the air temperature is above 30C. 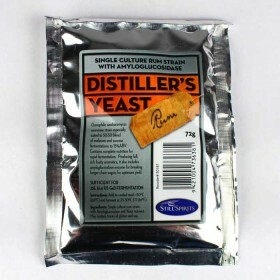 Deliver..